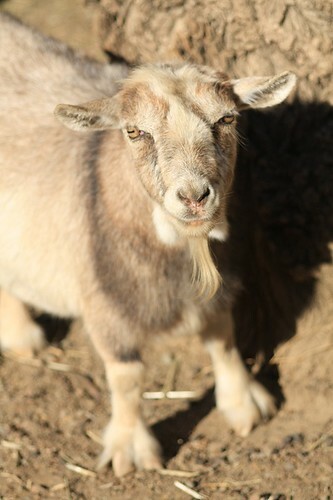 Charlene is a short and stout pygmy goat. FACT. That may be the most serious face I have ever seen a goat make. Which makes me feel bad about humming the "I'm a little tea pot" song now.